First of all, it's hard to believe my daughter's shirt is almost the same size as mine!!! Hers is a Large 10/12 (it is a bit big on her) and mine is a Medium! A wonderful company to stand behind. Empowering young girls and women alike. They also have mens and boys, but everyone can benefit from a positive message. 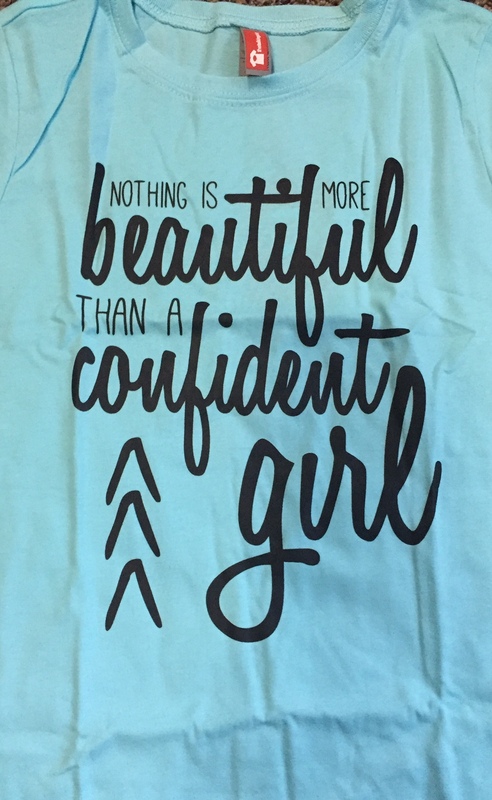 My daughter didn't totally get her shirt, but when I explained it to her a bit more, she wears it with pure confidence now and loves her tee. These days young girls need all the lifting they can get and I love a company that fully supports that. A company I'm wholeheartedly willing to support! Price: My tee is $24 and Avery's is $20. Perfect pricing! USE CODE KEEPTALKING for 20% off! I like the Kind Heart shirt or the Mama Bear shirt. 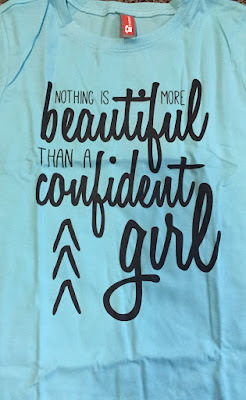 I love the Gray and Lavender "Fearfully and Wonderfully Made" Raglan shirt for girls! I like the have your people talk to my people shirt! I would probably choose the HER CHILDREN" FITTED LONG-SLEEVE TEE for my daughter, thanks! I would choose the "Don't Worry" Women's T-Shirt. I love the "NEVER UNDERESTIMATE" FITTED TEE for my daughter. I would choose the "TOMORROW" SCOOP NECK FITTED TEE. I like the "I Love You More" Fitted Tee! Cute! I would choose the girls "Throw Kindness Around Like Confetti" shirt.